The opportunities of international commerce come with increased risks. If you’ve done business in Estonia and your client doesn’t pay, collecting your past-due invoices may seem impossible. Unfamiliar customs, foreign laws and regulations, language barriers, and sheer distance all represent serious challenges to recovering what you’re owed. 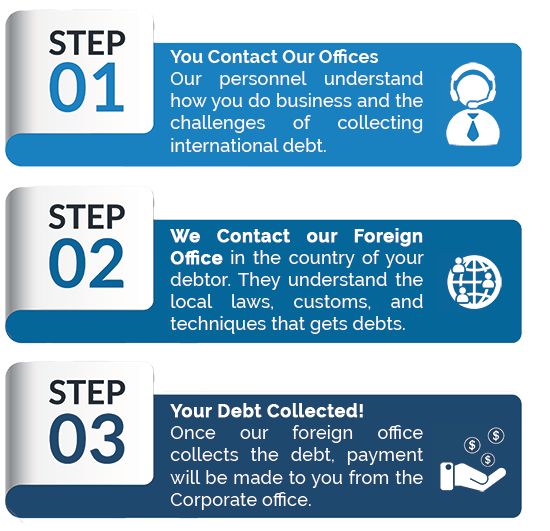 Retaining a debt collection agency fluent in the laws and customs of the country where your debtor resides is the simplest path to debt recovery. Whether your claim is in Tallinn, Tartu, or the resort town of Pärnu, Cedar Financial offers on-the-ground representatives in Estonia who understand the most effective debt collection practices for full recovery of your funds. Our local Estonian office is experienced and ready to help you with pre-collection services, amicable collection with proper demand to all parties, dispute resolution, and, if necessary, legal proceedings and court enforcement. Since 1991, Cedar Financial has served as a reliable, nationally licensed debt collection agency specializing in helping businesses both large and small collect unpaid accounts internationally. Our experience with collecting debts in a wide range of different industries allows our expert team to settle your accounts quickly and favorably so you can get your cash flow and your business moving again. Cedar Financial has offices in over 150 countries, including Estonia, providing you with access to a worldwide network of nationally licensed debt collectors. Our expertise in the nuances of local laws, customs, and cultures guarantees the best possible debt mediation results. At Cedar Financial, we understand how critical a good reputation is to your business. We do everything we can to get your money back while preserving a good relationship with your customer. Our collection efforts on your behalf are always fair, but firm. We take an integrated approach that combines a “people first” philosophy with the latest technology to provide better contact management and drive results. Our effective, diplomatic communications produce positive, professional resolutions. Our people-oriented focus includes the team we assemble to work for you. When you entrust your business to Cedar Financial, you benefit from the expertise of our seasoned global network of debt collectors, attorneys, suppliers, and vendors working together to create the best possible outcome for you. Contact us today to find out how Cedar Financial can help your business.